Beetroot is one of the easiest crops to grow. It has amazing health benefits, too. It is an especially worthwhile crop to consider if you grow your own vegetables - because of the well-known health benefits. Beetroot contains a good spread of common vitamins, including B1, B2, B3 and vitamin C and it is a good source of calcium, iron and other minerals. Betacyanin which gives it its usual red colouring is a powerful anti-oxidant. Beetroot plays a valuable role in nutrition, offering anti-oxidants and cancer prevention among its many talents. This humble root vegetable is also valued by herbalists and health professionals for its tonic and revitalising qualities. Beetroot juice is enjoying a new vogue as the health drink of choice. Beetroot are quite similar to carrots in their needs and cultivation, except that there is no pesky carrot fly to make life difficult and beetroot seeds are a lot bigger and easier to see! Beetroot makes another good organic vegetable to add to your green living garden collection because they are a versatile and easy crop. 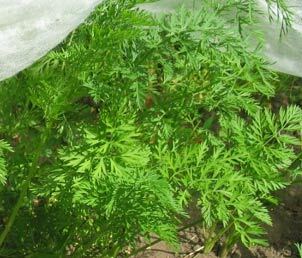 Like carrot seed, you can plant them in cells and then transplant them when they get to an inch or two high. Or you can sow them directly into well prepared soil, about 1/2 inch deep and 2-4 inches apart. You can also sow them directly in the soil in a shallow trench. Always sow them in damp soil conditions for the best start. If this is not easy, then make sure that you irrigate the soil well before hand and keep the soil moist after sowing. Growing beetroot in window boxes and planters is entirely possible, provided that you select dwarf varieties. There's a wide variety of types of beetroot available, from deepest red to pale pink and even white. There are also many different shapes and sizes to choose from and some beetroot are better adapted to warmer climates. Look for heritage varieties and non F1 seeds if you want flavour and seeds to store for next year. Small round varieties are particularly desirable if you want them for salads. "Boltardy" is a renowned variety which is - as the name suggests - resistant to bolting (bolting is the tendency to run to seed without producing a proper edible root). There are different shaped roots available from conical to very round, so the final distance apart will depend upon what type you sow and how large you want them to be. Like many root crops, younger plants are usually more tender, juicy and flavoursome. The soil should be above 7 degrees centigrade. Aim to finish with them about four inches apart, more if you have sown in cells. For larger varieties 6 - 8 inches apart will be better, especially if you want to grow them on into autumn. The seeds are actually often clumps of seed; more than one plant may germinate from each "seed". So be careful not to sow too many close together. You can use thinnings in salads - the leaves are very rich in calcium and they add vibrant colour. You can carry on sowing beetroot all summer long. If you are sowing in spring, choose bolt-resistant varieties because beetroot can be prone to bolting in mid-summer and in dry conditions. If you want small beetroot mainly for use in salads it is quite possible to grow them in containers. Pick shorter and rounder varieties for this and keep them very well watered. You can use the leaves as a cut-and-come-again crop, too. They are exceptionally nutritious and they are quite tasty if you pick them as young leaves. Lift the roots for storage before any serious frosts threaten. It's not advisable to leave your beetroot in the ground too long as frost can damage it and so can rodents. Fibres also tend to become more woody with time so it's best to lift the crop when it gets to the size or maturity you want. Beetroot will keep in a fridge for a week or even two. Take off the tops but not the root tail and put them in bags in chill compartment. It's best to twist off the tops rather than slice them off - they will bleed less. Exclude as much air as possible from the bag. For longer storage periods try using a root cellar approach. "Root Cellaring: Natural Cold Storage of Fruits & Vegetables" by Mike and Nancy Bubel gives the full story of how to run a successful root cellar at home. You can also freeze cooked beetroot for up to ten months. Root crops will store in a vermin-proof cool shed or garage if they are buried in sand. Put them carefully in a box of sand and keep them cool. Use only undamaged beetroot for this approach.